What is Fill Your Pantry? 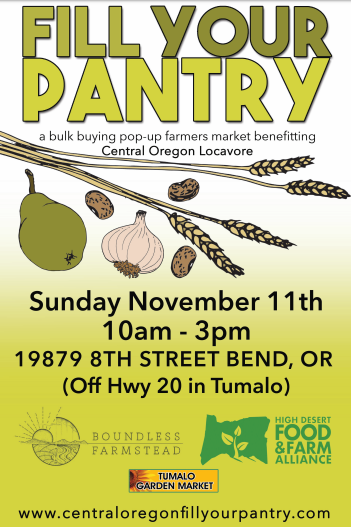 ​Fill Your Pantry is a community bulk buying event created so YOU can fill up your pantry, freezer, and root cellar full of great local products for the winter. Say bye-bye to busy holiday lines and produce that has traveled farther than you during holiday vacations, and say hello to a cupboard full of local meat, grains, vegetables, ferments, and more. 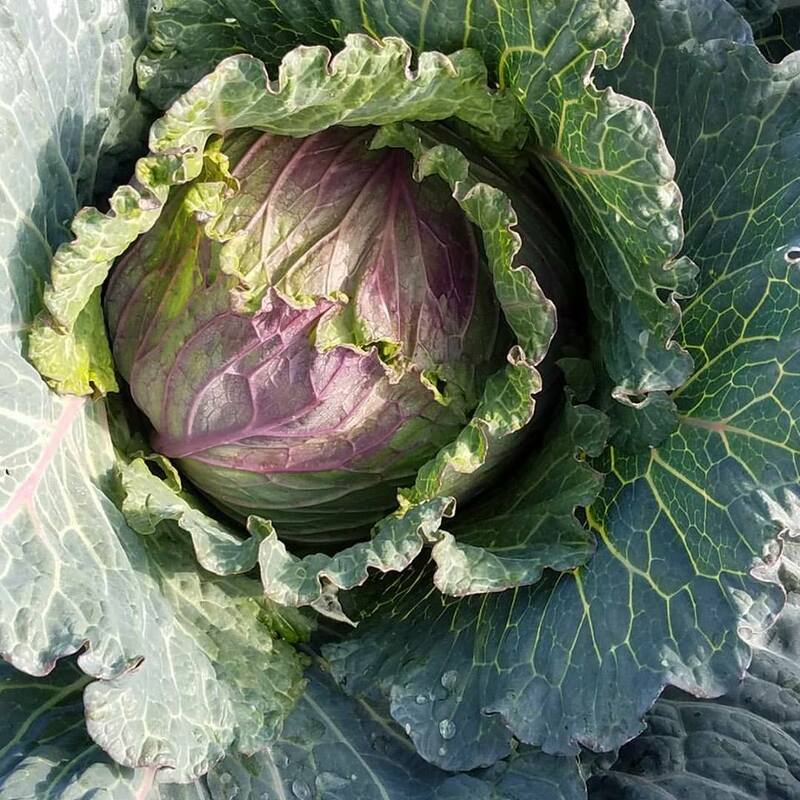 The Central Oregon Fill Your Pantry will allow you to stock up on items like potatoes, onions, leeks, beets, winter squash, garlic, honey, flours, apples, pears, dried beans, krauts, baked goods, and more. This is a bulk buying event, so bring your muscles! Farmers, ranchers, orchardists, and producers will be selling large quantities of items. For example, 20lb bags of onions, 50lb bags of potatoes, 25lb ground beef boxes, etc. This is a great opportunity for vendors to move product before the harsh Central Oregon winter and a great opportunity for YOU to save money and eat well all winter long.